Ramblings of an Opinionated Bong...: Is F.C. Porto the best “selling club” in Europe? Some of the dealings that Porto have done over the last 4-5 years seems to suggest that Porto have got a good knack for making a profit in the transfer market. They seem to buy talented players on the cheap, and then make huge profits from their sales a couple of years later. Here’s a look at a few of their dealings. Porto sold three of their most influential players to the French giants- Lucho González to Marseille for €18 million, and Lisandro López and Aly Cissokho to Lyon for €24 million and €15 million respectively. They let as many as 17 players leave the club as the club earned €74.55 million from the players sold. They brought in 12 players to replace them for combined spends of €24.9 million, returning a neat profit of almost €50 million. Falcao joined the Portuguese giants for a fee of €3.93 million for 60% economic rights to replace striker Lisandro López. In the transaction, Porto also sold Mario Bolatti for €1.5 million to a third party owner, Natland Financier B.V., in exchange for 35% economic rights of Falcao. That season, he scored 34 goals in 42 appearances in all competitions. That season, Porto finished 3rd in the league, reached the Round of 16 of the Champions League, reached the semifinals of the Taça de Portugal and lost in the final of the Portuguese League Cup, a good return considering they actually made €50 million in the transfer market. Porto again earned money from transfers, thanks largely to the transfers of Bruno Alves to Zenit for €22 million and Raul Meireles to Liverpool for €13 million. They sold seven players for €36.42 million and brought in eight players for only €29.1 million. The three key signings were Colombian prodigy James Rodríguez from Atlético Banfield for €5.1 million, promising Argentine centre-back Nicolás Otamendi from Vélez Sársfield for €4 million and Portuguese playmaker João Moutinho from fellow Liga rivals Sporting CP for €10 million. Falcao again scorched the scoring charts as he scored an incredible 39 goals in 42 appearances as Porto went on to win the UEFA Europa League and Liga double. 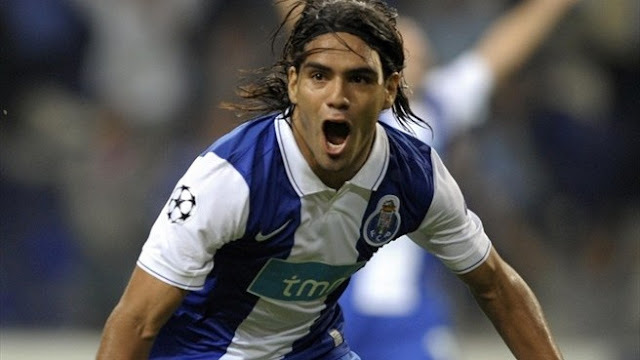 Porto funded their entire spending spree from the sales of Radamel Falcao using the and Rúben Micael to Atlético Madrid for €40 million and €5 million respectively. They brought in as many as 12 players using the €45 million they earned. They signed young Argentinian attacker Juan Manuel Iturbe from Cerro Porteño for €2.5 million, Alex Sandro and Danilo from Santos for €9.6 million and €13 million respectively and Steven Defour from Standard Liège for €6 million, while Lucho González returned from Marseille on a free transfer. Porto captured their 25th league title as they won the league with no losses in their domestic campaign. They were, however, knocked out in the Group stage of UEFA Champions League while they did not make it past the Round of 32 of the UEFA Europa League. At the start of the season, star striker Hulk completed a transfer of €40 million to Russian Premier League club FC Zenit Saint Petersburg, leaving the team short of striking options. Porto lived up to its reputation of unearthing talents as they brought in Colombian hitman Jackson Martínez for US$11 million from Mexican Premier Division side Jaguares de Chiapas. 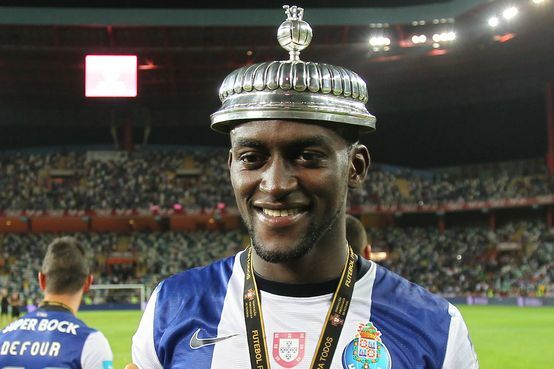 Martínez filled in admirably for the Brazilian with 34 goals in 39 appearances in all competitions; as Porto went on to win the League. Known as "Jackshow Martínez" in Portugal, he has been recently linked with Liverpool, Chelsea, and Barcelona due to his excellent performances, with ESPN noting Jackson as one of the best signings for the 2012-13 season following his successful seasonal European debut. The season hasn’t started yet, and already Porto have generated the necessary funds for their transfer dealings with both James Rodríguez and João Moutinho leaving for newly promoted French side AS Monaco for €45 million and €25 million respectively. They have already signed talented Mexican midfielder Héctor Herrera from C.F. Pachuca for €10 million. Porto continue to show their acumen in the transfer market, using one or two big money transfers to fund their entire transfer budget, and have returned profits a couple of times. Porto can very be expected to spend the cash wisely and unearth yet another gem that they will be able to sell for a big fee. Considering the poor economic condition of the Portuguese League, it seems to be a very prudent tactic, and one that Porto have become very good at. The trend of Porto being the breeding ground of top European talent is expected to continue as Porto seems to have found a stable business model. I don’t think they will mind the moniker of a “selling club” in the slightest bit as long as they keep winning trophies….